The Leeds Police Department is an exceptional Police Department which reflects the great community it serves. We maintain high ethical standards and professionalism. We are dedicated to our mission to foster a safe community by responding to crime, addressing community concerns related to safety, and maintaining an effective presence throughout the City of Leeds. 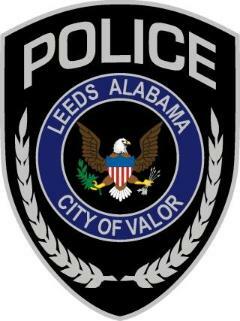 The Leeds Police Department achieves its mission by building relationships with the community and other stakeholders. We hold ourselves accountable to our values which are efficiency, competency and problem solving with honesty, empathy and fairness. The Leeds Police Department is an organization that is committed to open dialogue with members of our community, and the internet is an excellent mechanism to ensure that we provide as much information as we can to keep you, our stakeholders, informed. Policing a community is at times difficult, extremely challenging, and continually changes to meet growing public expectations and emerging crime trends. Community safety is the responsibility of all of us. There has never been a time in our history where collaboration, community partnerships, and integrated policing initiatives are so necessary in order for us to resolve community issues and problems. We consider ourselves partners with our citizens and community. I am committed to ensuring efficient and effective service and building a trusting, caring community. The ability to provide our citizens with timely information is a very important part of the process. Our website will be update on a regular basis, and I encourage you to visit our homepage from time to time, as it is a valuable resource providing information on a wide variety of topics pertaining to the Leeds Police Department.